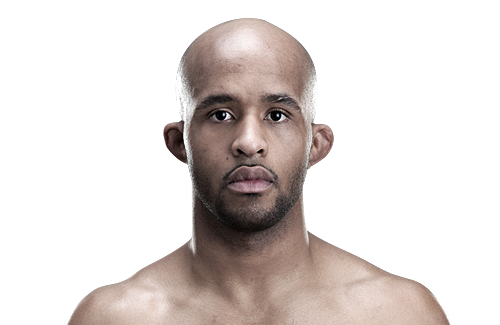 Johnson began his career in mixed martial arts (MMA) in 2007 and won his professional debut via first-round knockout. Johnson then appeared on multiple local shows and won his next 8 fights, including five in a row by submission. Johnson fought at the Alaska Fighting Championships in Anchorageand won via head kick KO, which earned him a deal with the WEC. 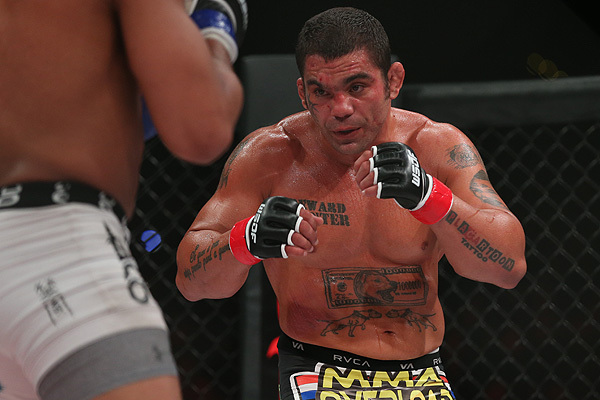 Johnson was scheduled to face Renan Barão on May 28, 2011, at UFC 130. However, Johnson faced Miguel Torres after Torres’ opponent, Brad Pickett was forced off the card with an injury. Despite breaking his fibula early in the second round from a checked leg kick, Johnson used his superior wrestling to control Torres and won a 29-28 unanimous decision victory, even though he was swept into full mount a record breaking 6 times during the fight. Johnson fought Dominick Cruz on October 1, 2011, at UFC Live: Cruz vs. Johnson for the UFC bantamweight title, losing by unanimous decision. Johnson was briefly linked to a bout with Eddie Wineland on January 28, 2012, at the UFC’s second event on Fox. However, Johnson was pulled from the bout to take part in a four-man flyweighttournament to determine the UFC’s first UFC Flyweight Champion. Johnson faced Ian McCall on March 3, 2012, in the first round of the Flyweight Tournament at UFC on FX 2. This fight was the first flyweight bout in UFC history. The fight with McCall went all three rounds, was turned over to the judges’ score cards and announced as a majority decision win for Johnson. Later, in the post fight press conference, UFC president Dana White announced that the athletic commission made a mistake when scoring the match and that officially the bout was ultimately scored a majority draw (28–28, 29–29, and 29–28 Johnson). 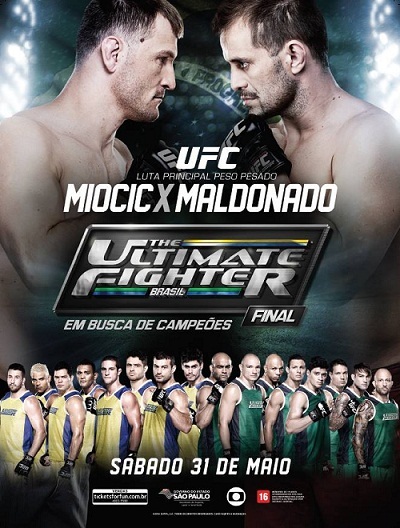 A rematch with McCall took place on June 8, 2012, at UFC on FX: Johnson vs. McCall. Johnson won the fight via unanimous decision to progress to the final round of the tournament. Johnson fought John Dodson on January 26, 2013, at UFC on Fox: Johnson vs. Dodson. Dodson managed to match Johnson’s speed and also dropped him twice with left hands, but as the fight went on the champion took control and almost finished Dodson in the last seconds of the fifth round. Johnson eventually won the fight via unanimous decision (48–47, 49–46, and 48–47) in a bout that earned both participants Fight of the Night honors. A rematch with Joseph Benavidez was expected for November 30, 2013, at The Ultimate Fighter 18 Finale. 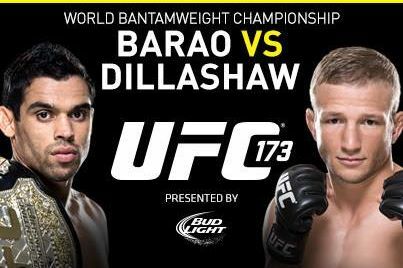 However, the bout was shifted to December 14, 2013, at UFC on Fox 9 after that event’s headliner was postponed due to injury. Johnson won the rematch in emphatic fashion via knockout in the first round, becoming the first and only person to stop Benavidez. The win also earned Johnson his first Knockout of the Night bonus award. 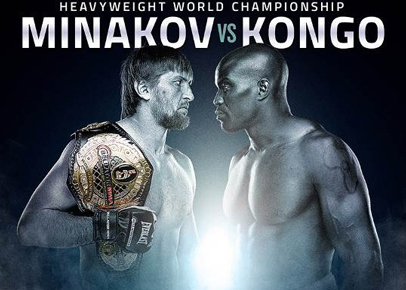 Johnson faced Ali Bagautinov on June 14, 2014, at UFC 174. He successfully defended his title for a fourth time, winning by unanimous decision. 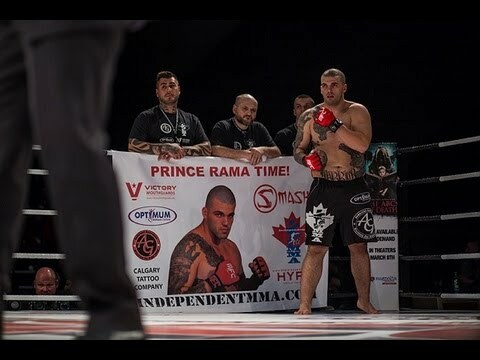 Subsequent to his win, on July 10, the British Columbia Athletic Commission (BCAC) announced that Bagautinov tested positive for erythropoietin (EPO) prior to the title fight. In response, the BCAC suspended Bagautinov from mixed martial arts competition for one year. A bout with Chris Cariaso was expected on August 30, 2014, at UFC 177. 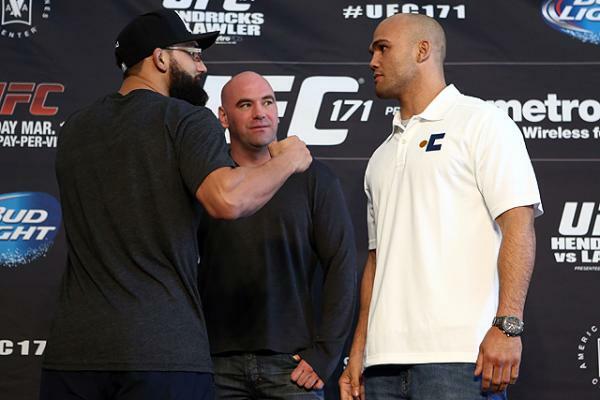 However, the bout was shifted to September 27, 2014, at UFC 178 after that event’s headliner was cancelled due to injury. Johnson won the fight via submission due to a kimura in the second round. This marked Johnson’s fifth title defense and the first time that a kimura was used to end a fight in a UFC championship title bout. 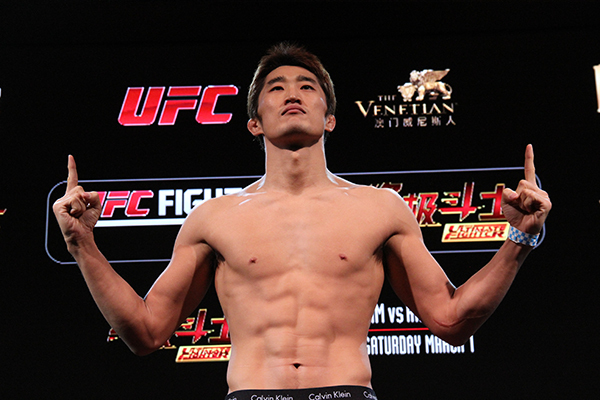 Johnson faced Kyoji Horiguchi at UFC 186, winning the one-sided fight via an armbar submission at 4:59 of the fifth round, resulting in the latest finish in UFC history. This win also secured Johnson a Performance of the Night bonus award. 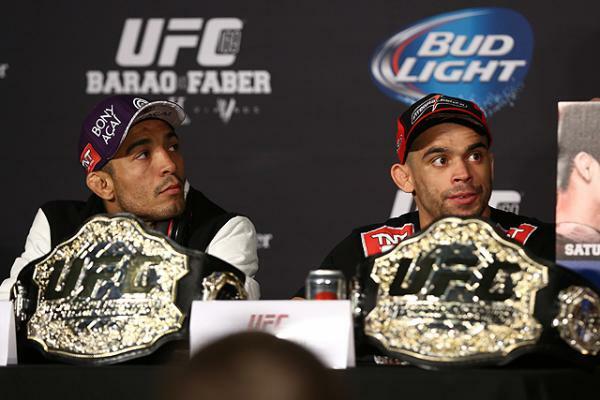 A rematch with John Dodson took place on September 5, 2015, at UFC 191. In a largely one-sided affair, Johnson won the fight via unanimous decision. 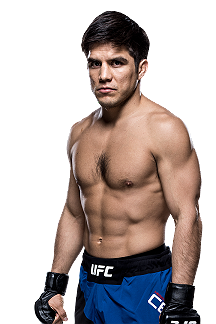 Johnson faced Olympic Gold Medalist Henry Cejudo on April 23, 2016, at UFC 197. He won the fight via TKO in the first round after dropping Cejudo with a variety of strikes. The win earned Johnson his second Performance of the Night bonus. Johnson next faced Tim Elliott on December 3, 2016, at The Ultimate Fighter 24 Finale. Despite being a heavy favorite, Johnson was taken down for the first time in Flyweight and nearly submitted with a d’arce choke in the first round. He went on to win the remaining rounds, and defended the Championship via a decisive unanimous decision. Johnson was briefly linked to an August 2017 fight with T.J. Dillashaw. He was scheduled to face Ray Borg on September 9, 2017, at UFC 215. In turn, the fight was canceled a day before the event, as Borg was forced to withdraw from the fight on Thursday evening due to illness. According to multiple sources, Borg has been battling an illness this week and was deemed unfit to fight by UFC doctors. The bout was quickly rescheduled and took place at UFC 216. Johnson won the fight via suplex-to-armbar in the fifth round. This win earned him the Performance of the Night award and set the 11th successful title defense record, surpassing former middleweight champion Anderson Silva’s record of 10 in the UFC. 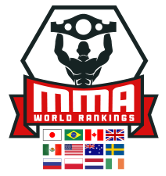 Johnson’s win was called the best submission of the year from publications such as Sherdog, MMA Mania.com, and The MAC Life. 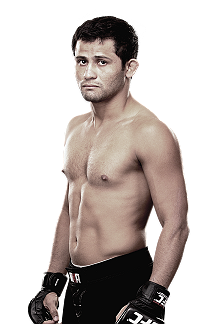 Johnson faced Cejudo in a rematch at UFC 227 on August 4, 2018 for the UFC Flyweight Championship title. After a record 11 consecutive successful title defenses, Johnson’s championship reign came to an end via a split decision loss to Cejudo. This fight earned him the Fight of the Night award. 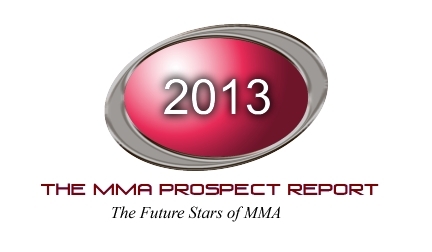 13 of 25 media outlets scored the bout in favor of Cejudo, while 12 scored it for Johnson. 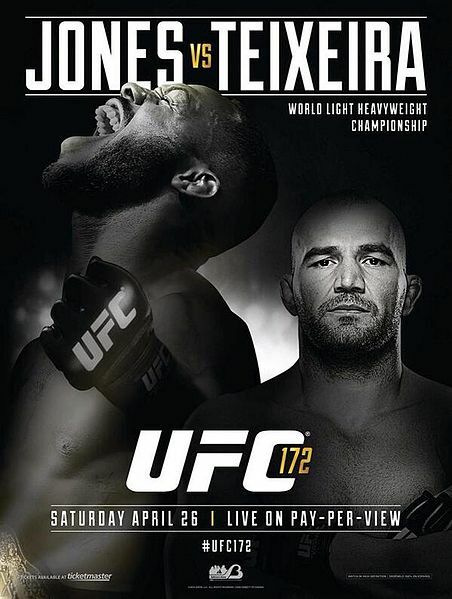 On October 27, 2018, Johnson was traded to ONE Championship for former ONE Welterweight Champion Ben Askren. Johnson is expected to make his promotional debut in the first quarter of 2019. On November 7, 2018, it was announced that Johnson would be one of eight participants in the ONE Flyweight Grand Prix. On December 19, 2018, it was announced that Johnson will be facing Yuya Wakamatsu at ONE Championship: A New Era on March 31, 2019, in the promotion’s inaugural event in Japan.